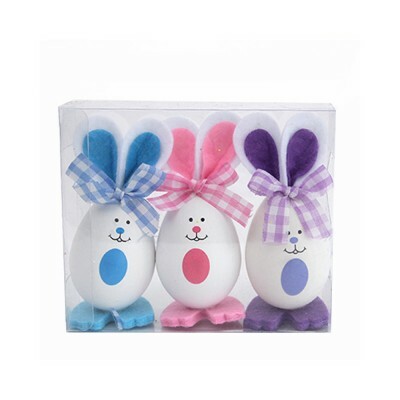 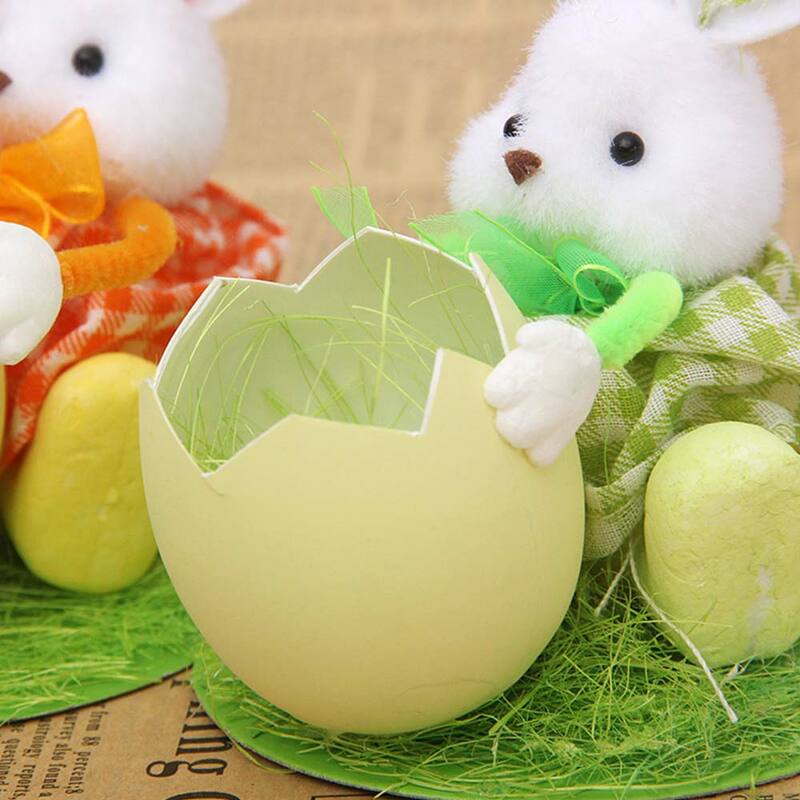 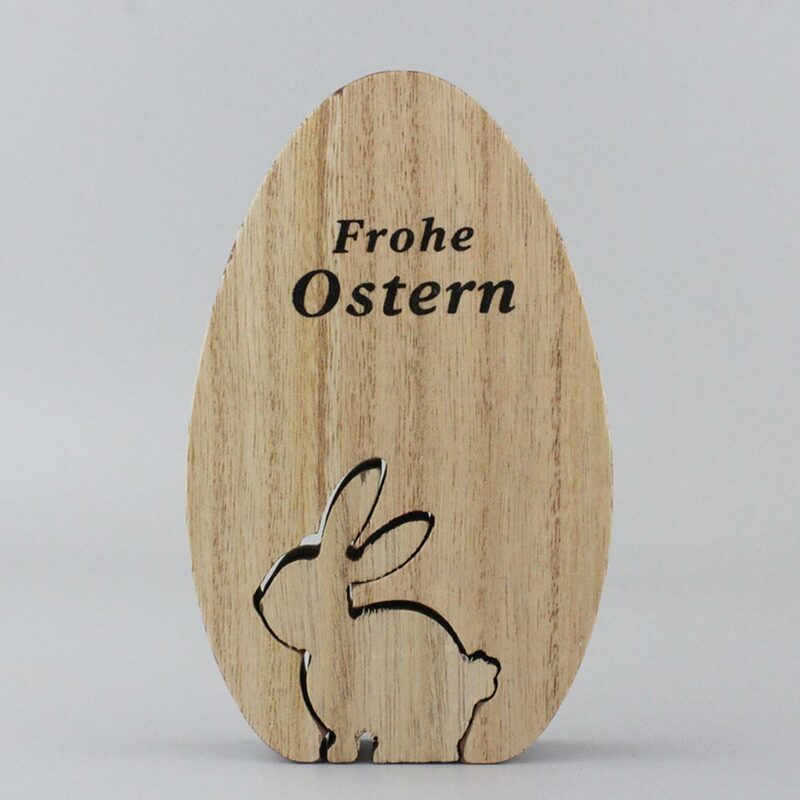 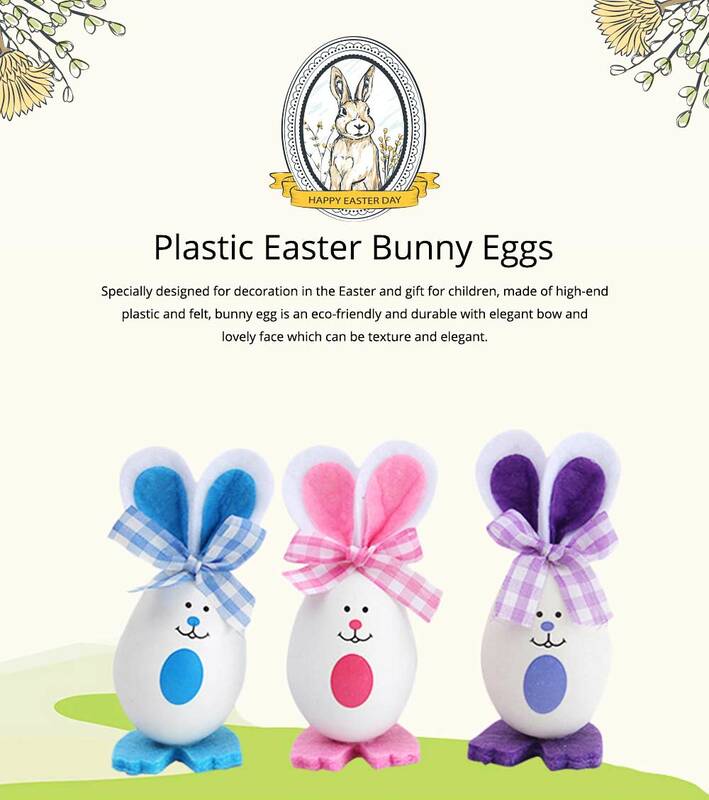 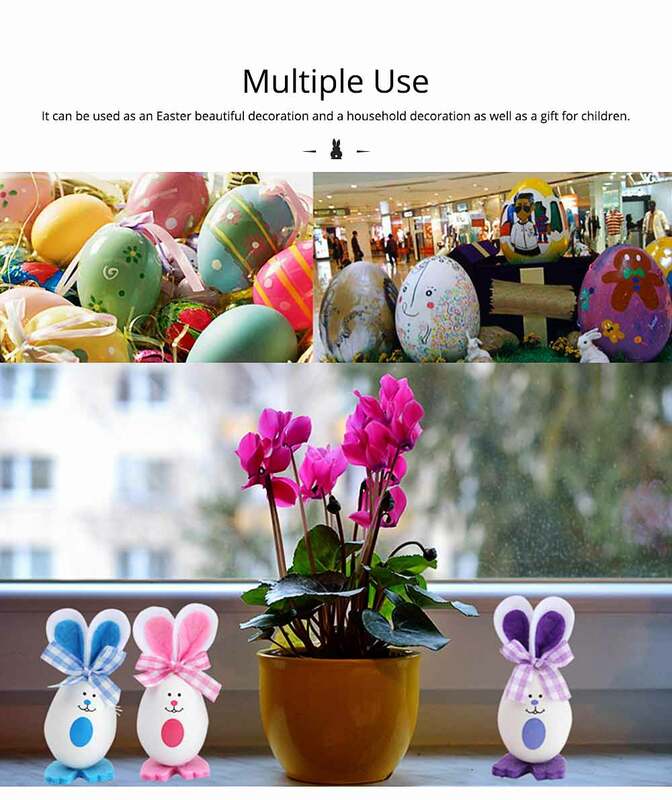 Easter bunny eggs specially designed for decoration in the Easter and gift for children, made of high-end plastic and felt, bunny egg is an eco-friendly and durable with elegant bow and lovely face which can be texture and elegant. 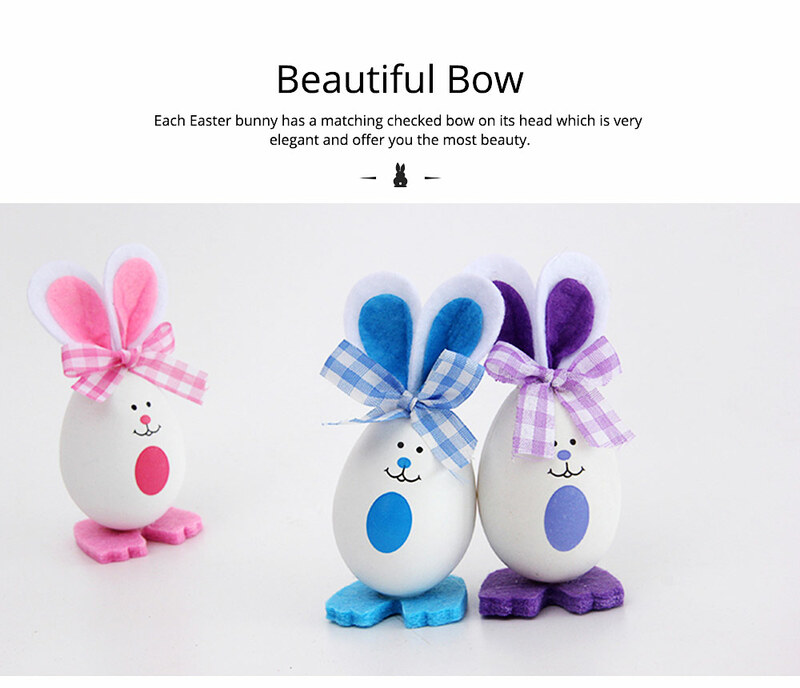 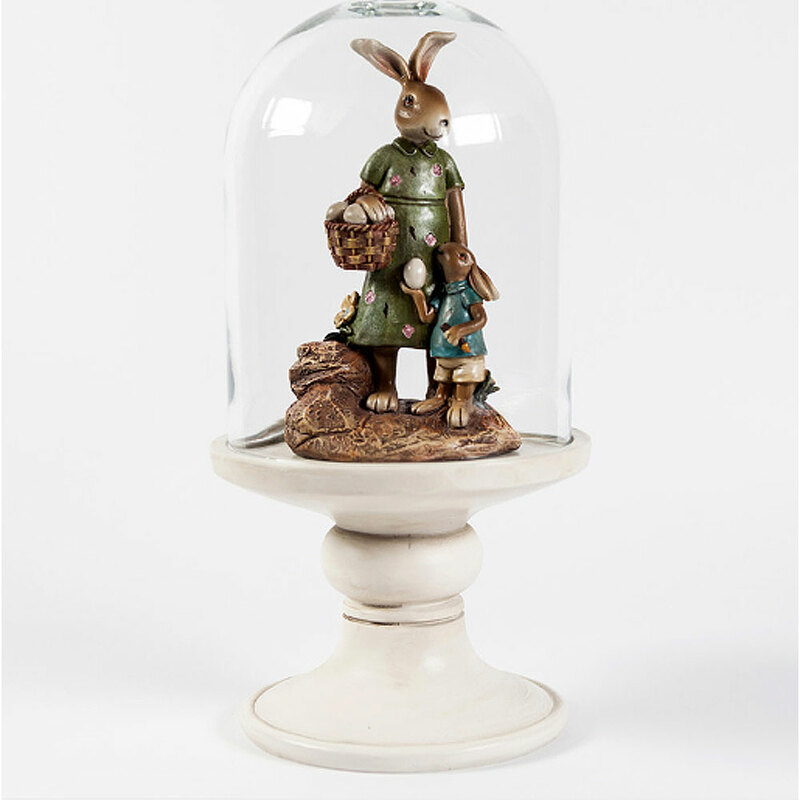 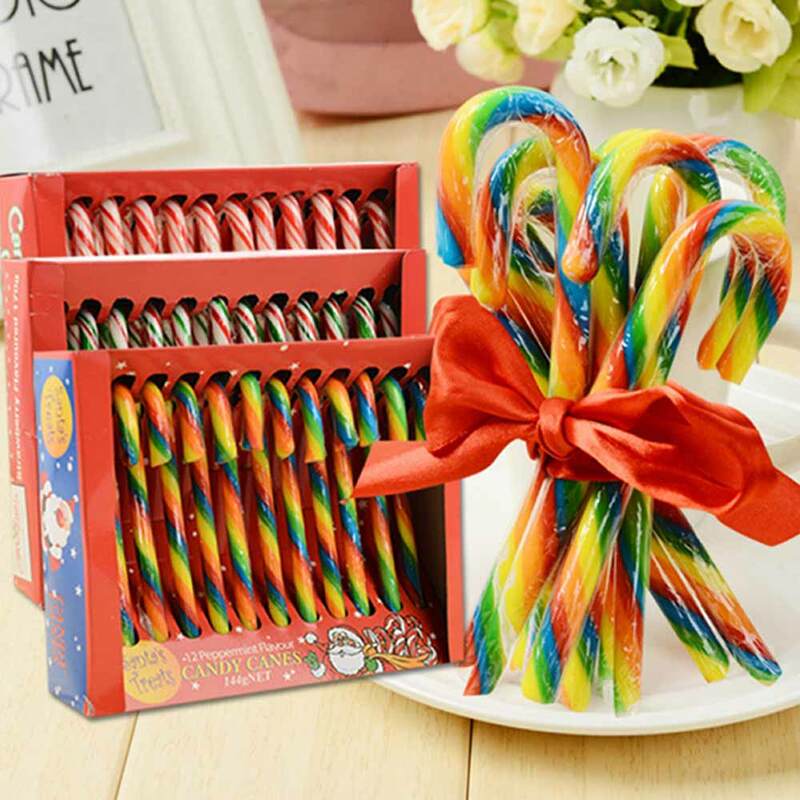 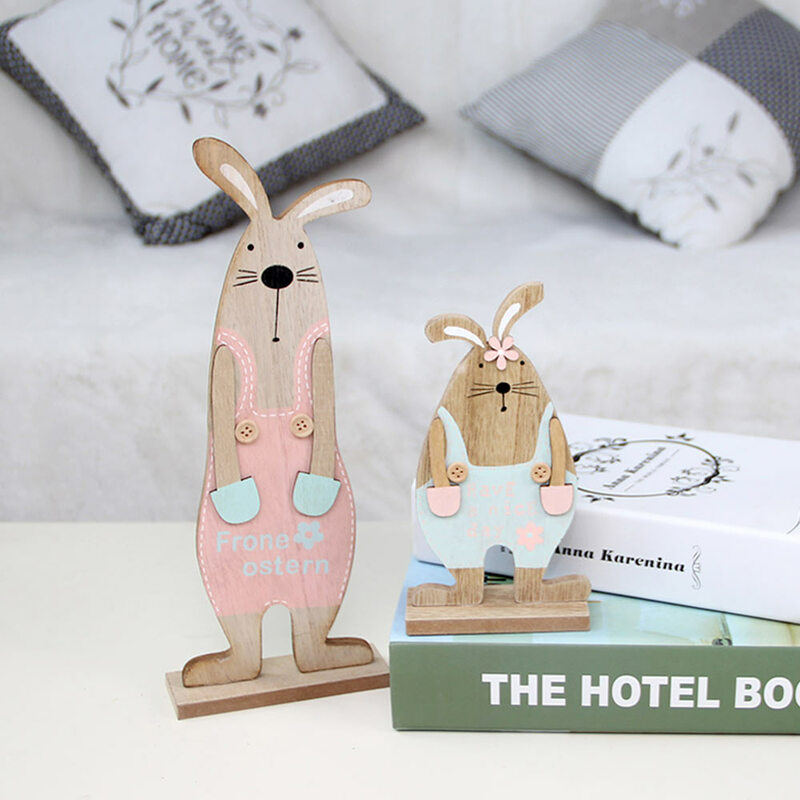 * Each Easter bunny has a matching checked bow on its head which is very elegant and offer you the most beauty. 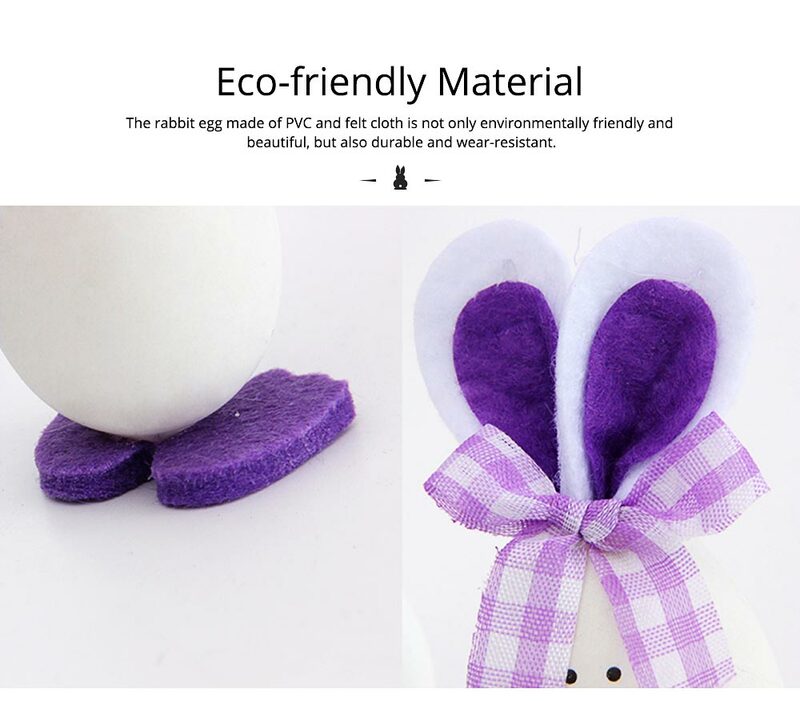 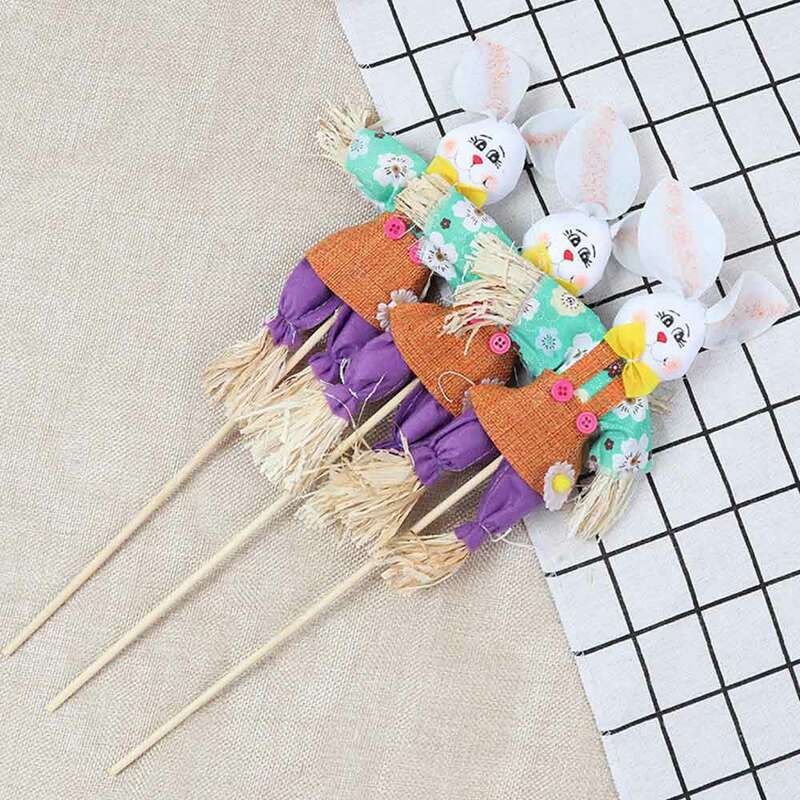 * It is hand-woven with plastic and felt which construction with unique weaving superb techniques so that the foam egg is beautiful and durable for long time use. 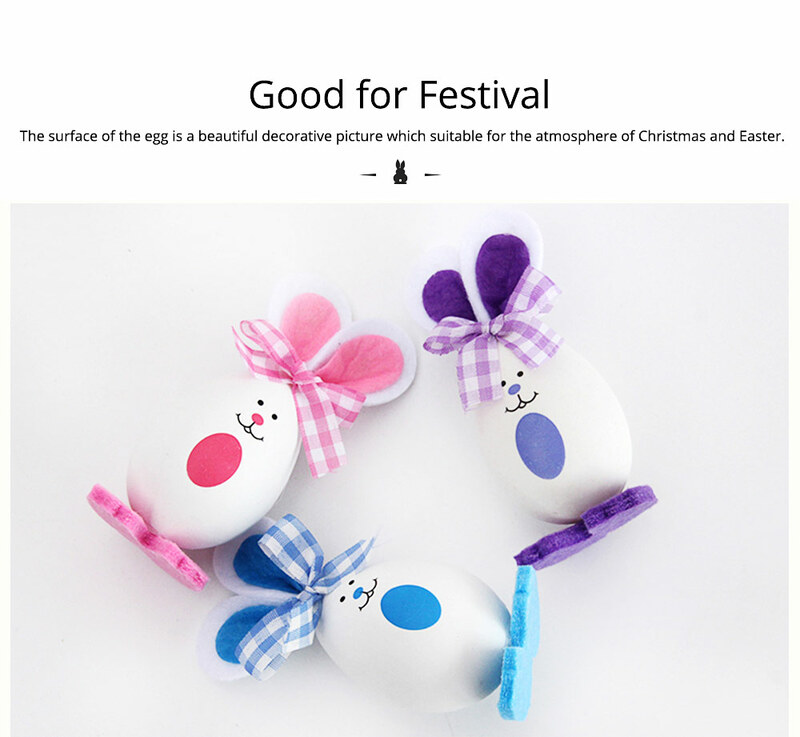 * The surface of the egg is a beautiful decorative picture which suitable for the atmosphere of Christmas and Easter. 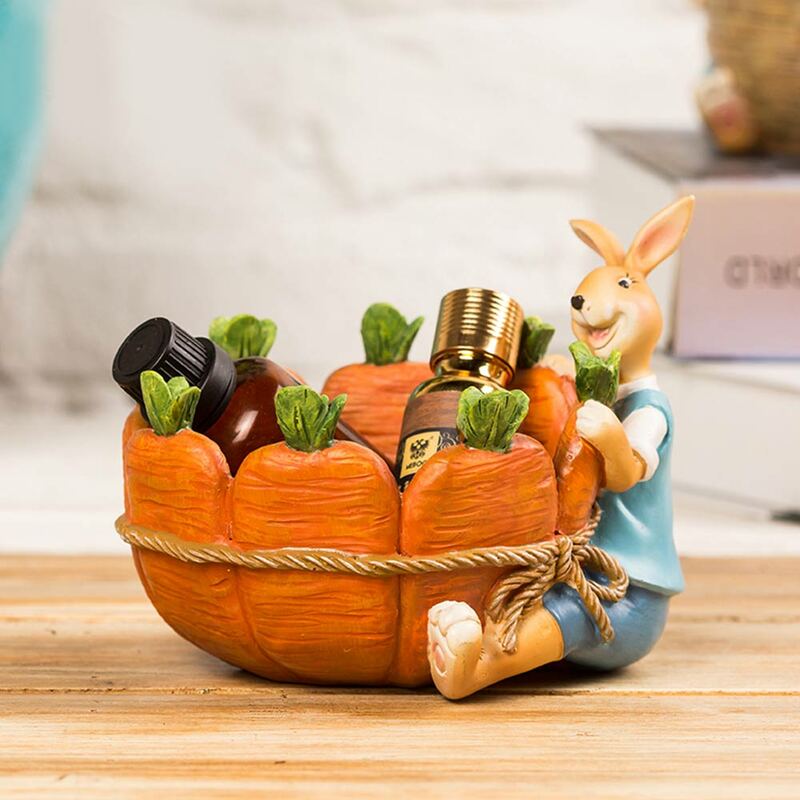 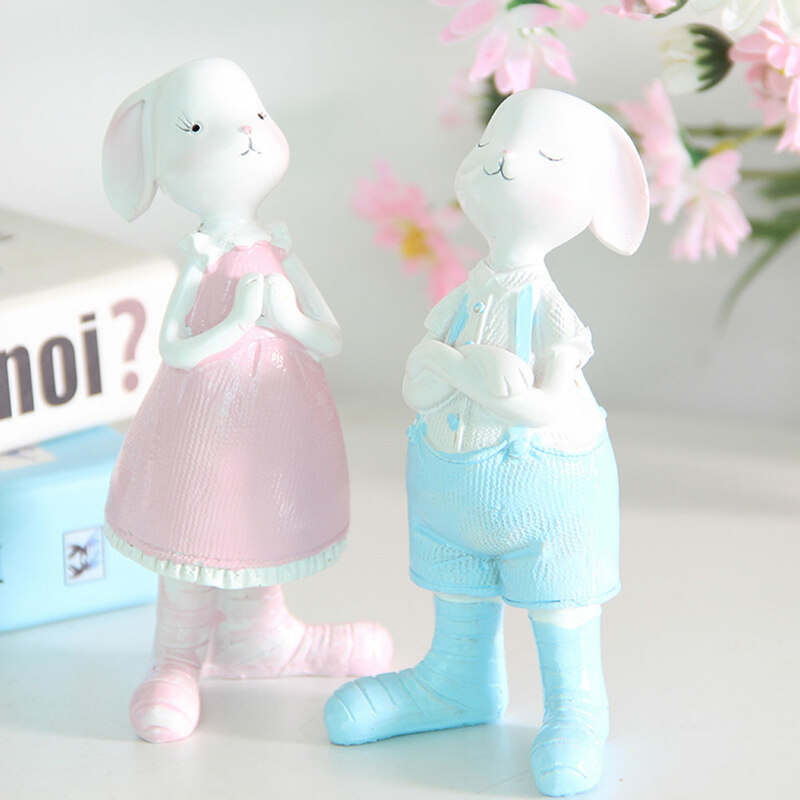 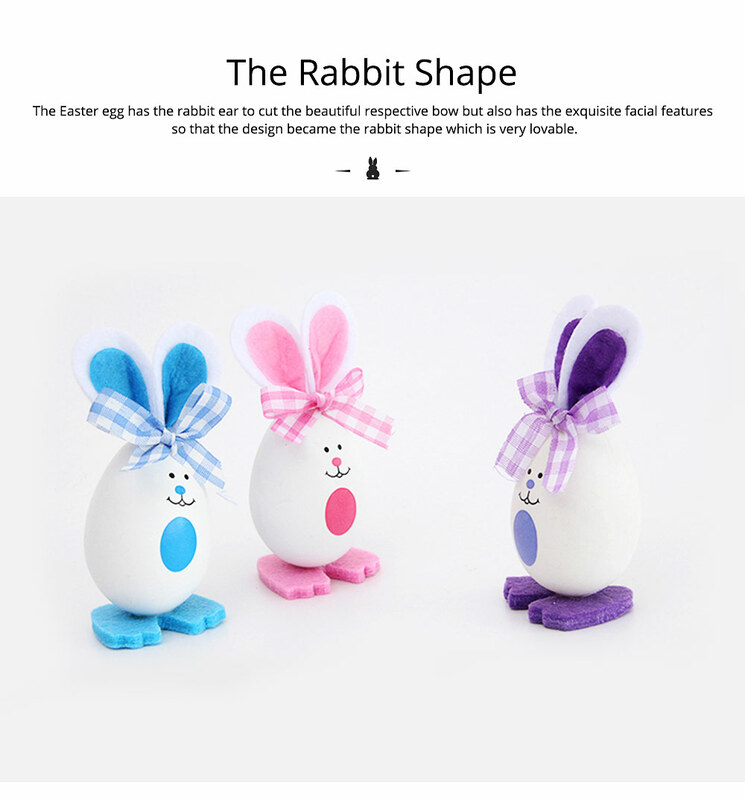 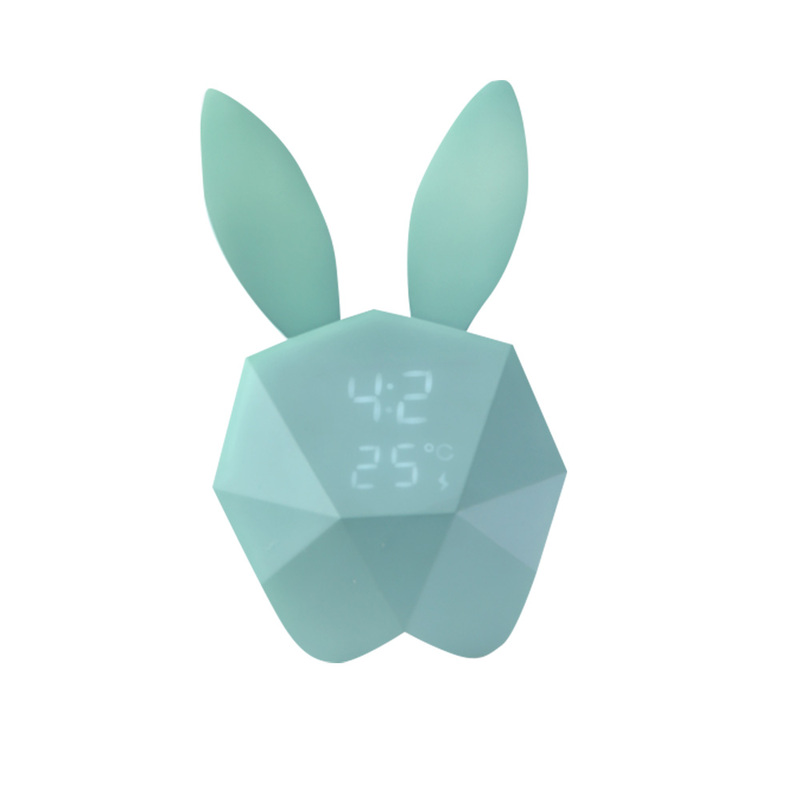 * The Easter egg has the rabbit ear to cut the beautiful respective bow but also has the exquisite facial features so that the design became the rabbit shape which is very lovable. 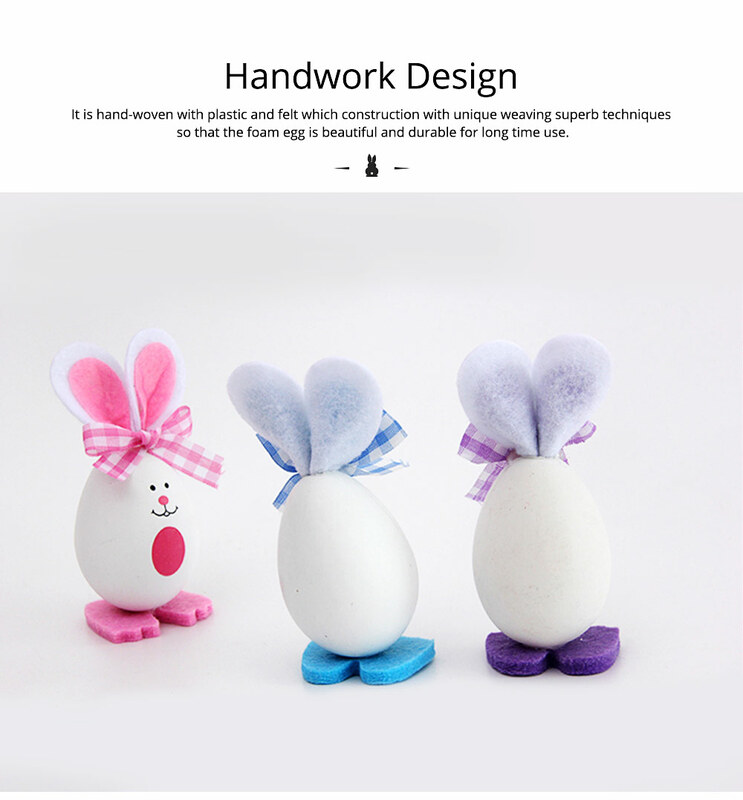 Very nice jumbo eggs! 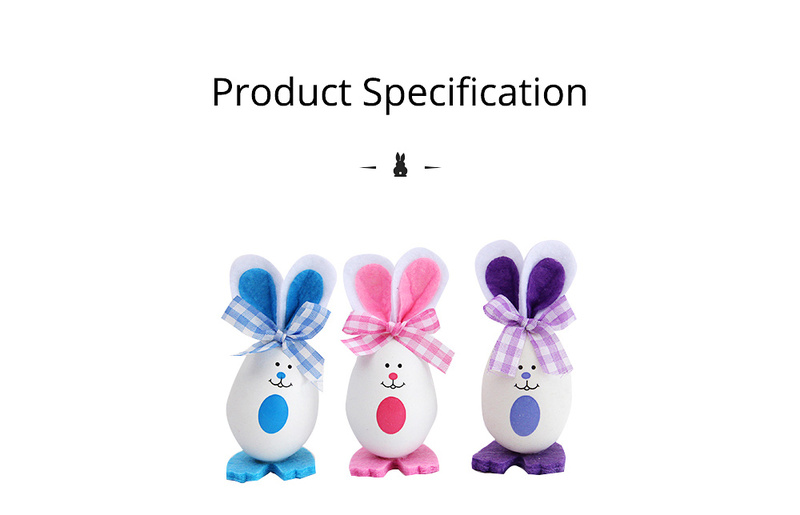 this is the second time I ordered this product, the latest order the eggs have a little plastic smell. 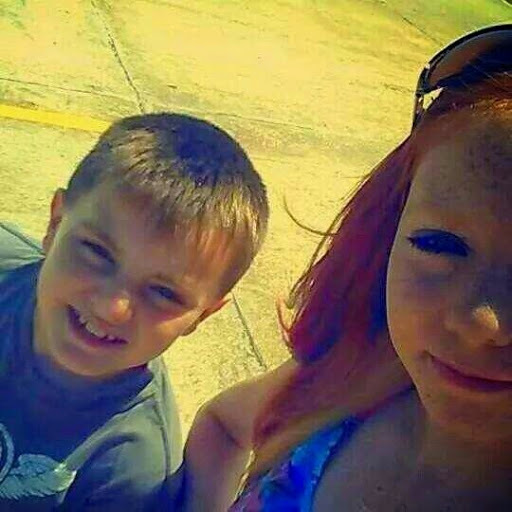 I hope i can air them out. 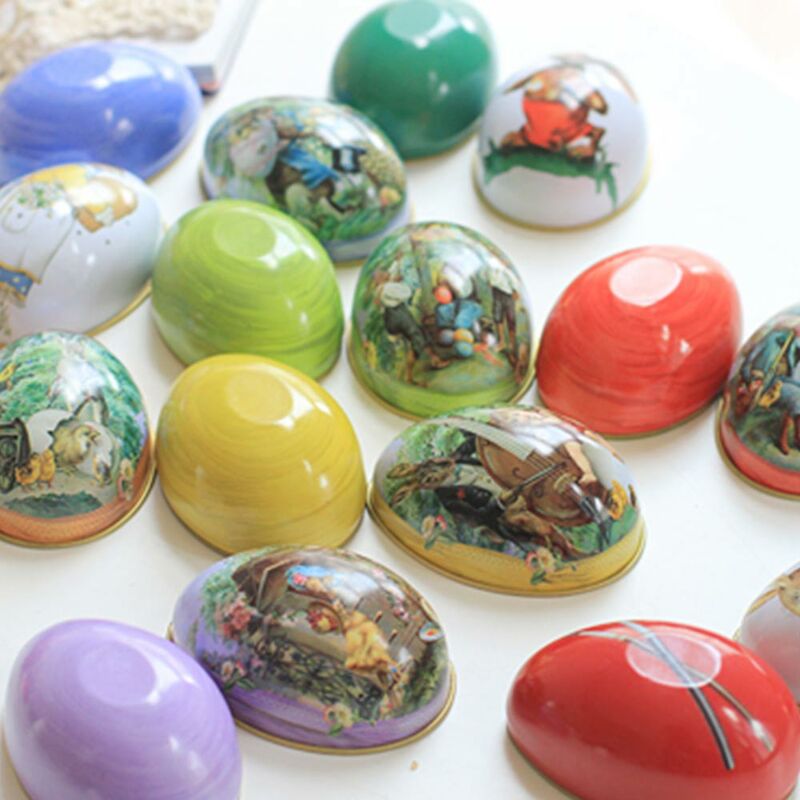 I soaked them in hot water and it seemed to get the plastic smell out. 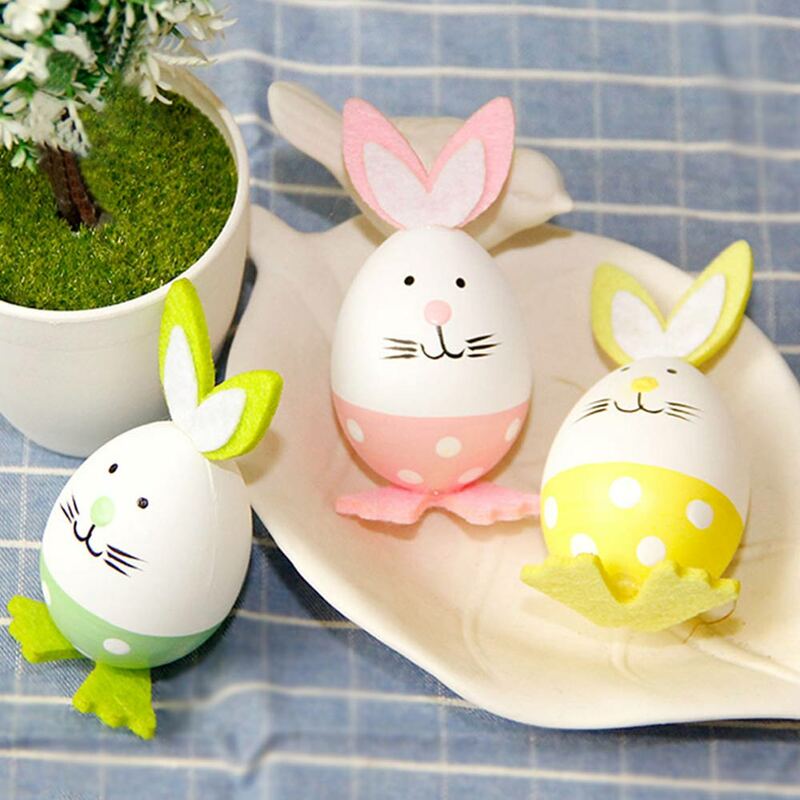 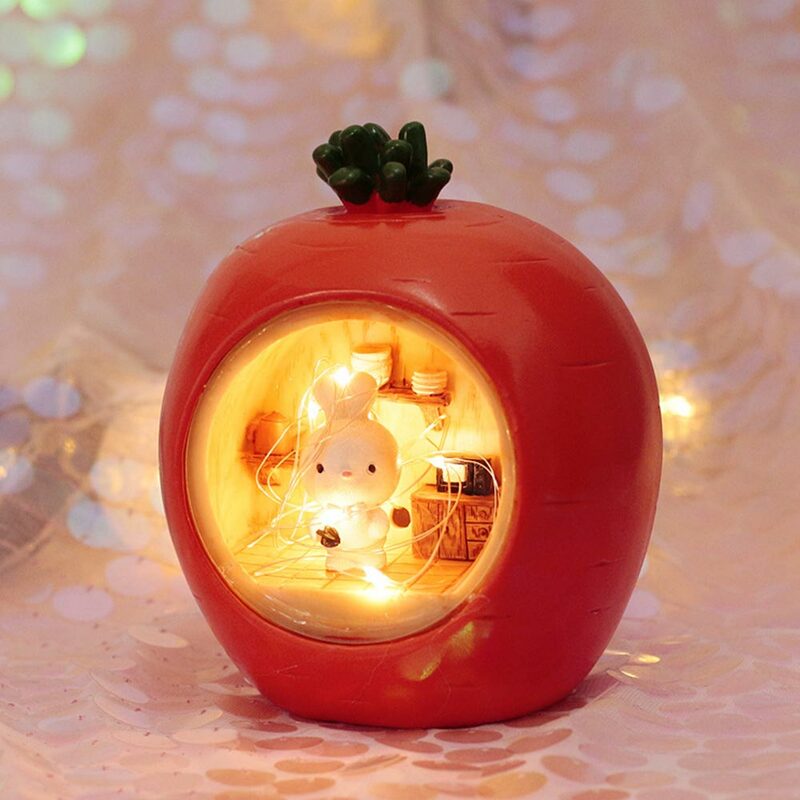 Really cute eggs! 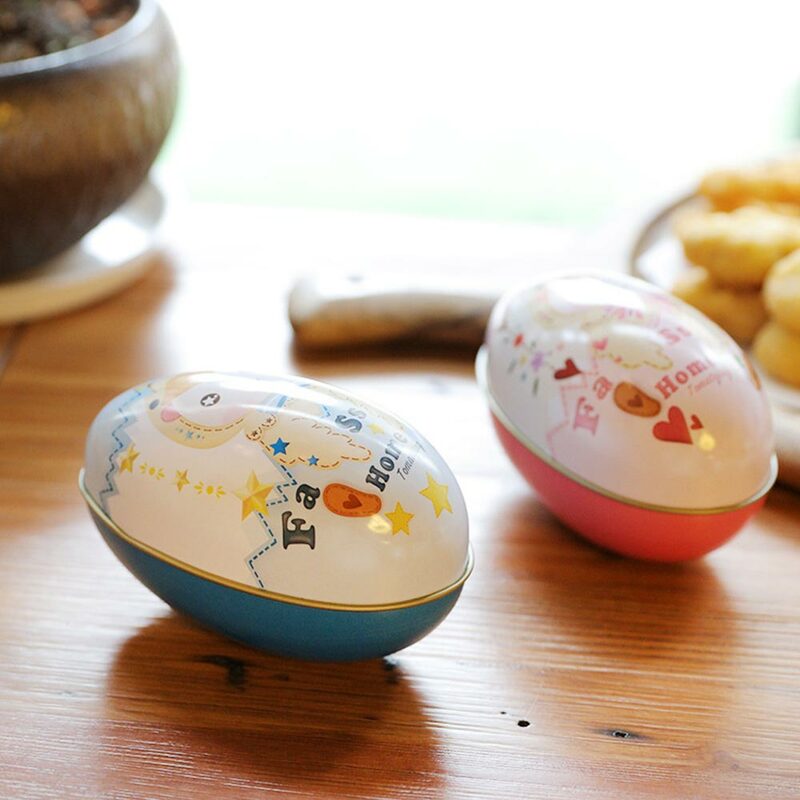 The kids were thrilled to find these special eggs amongst the regular plastic eggs. 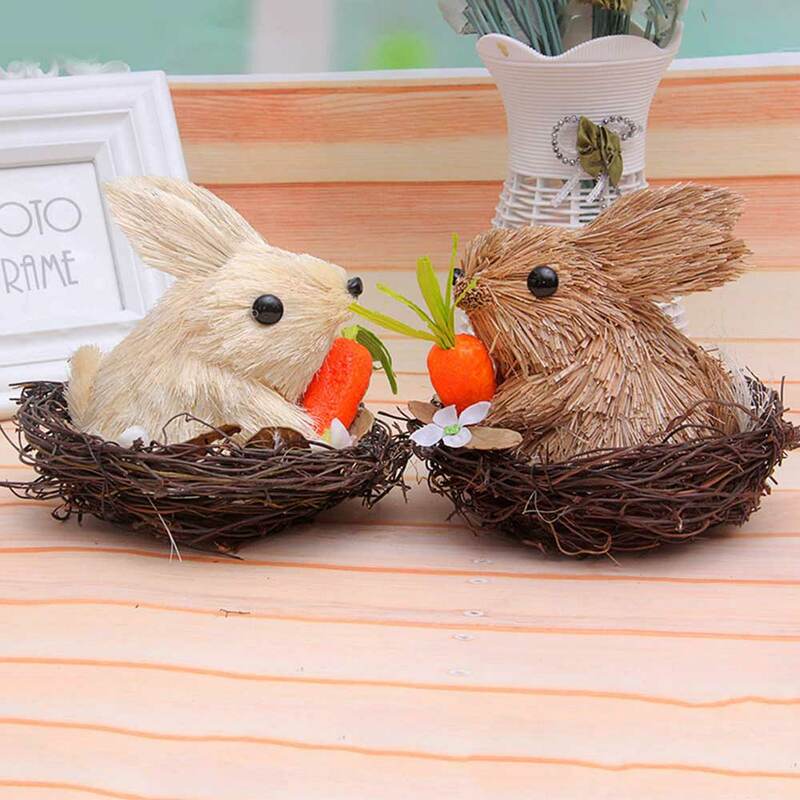 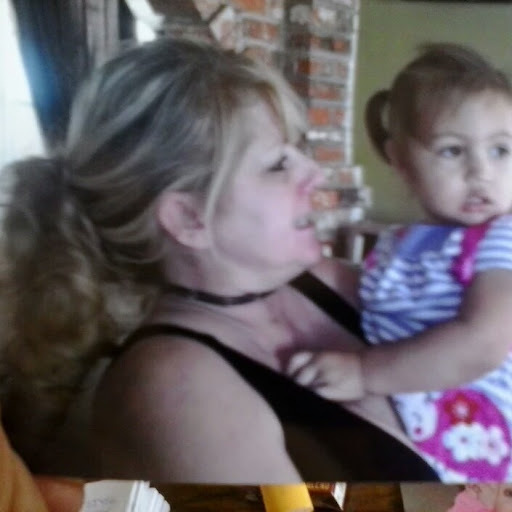 They really loved them!